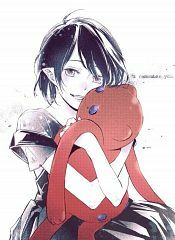 123 anime images in gallery. 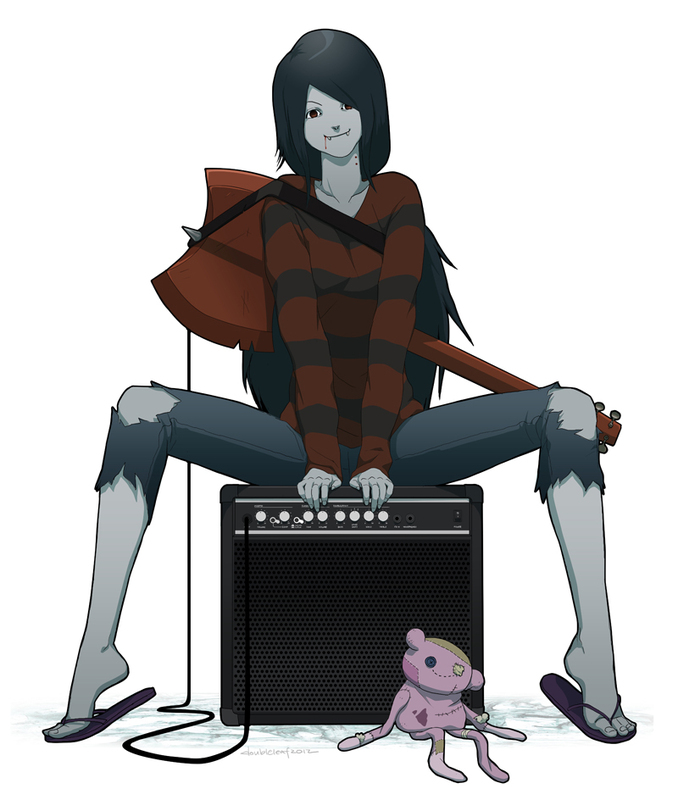 Tagged under Adventure Time and Vampire (Meta). 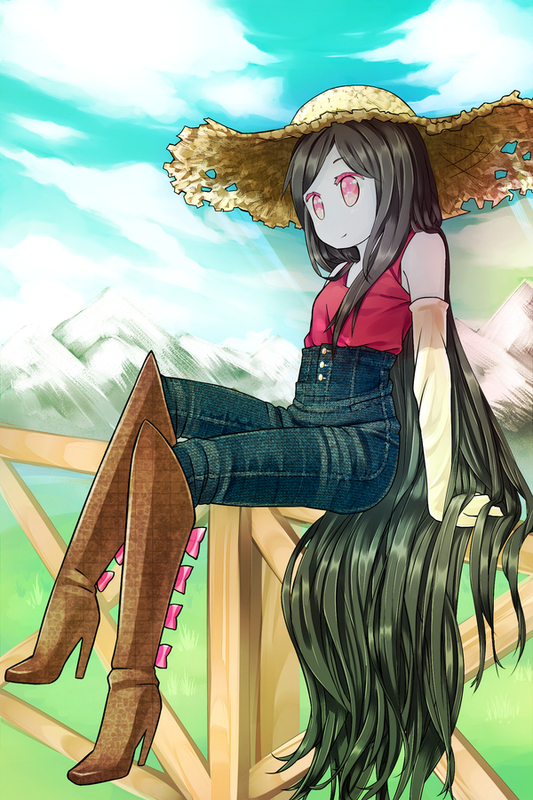 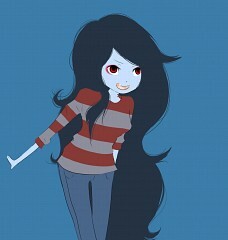 Marceline Abadeer (full title: Marceline the Vampire Queen) is a main character in Adventure Time. 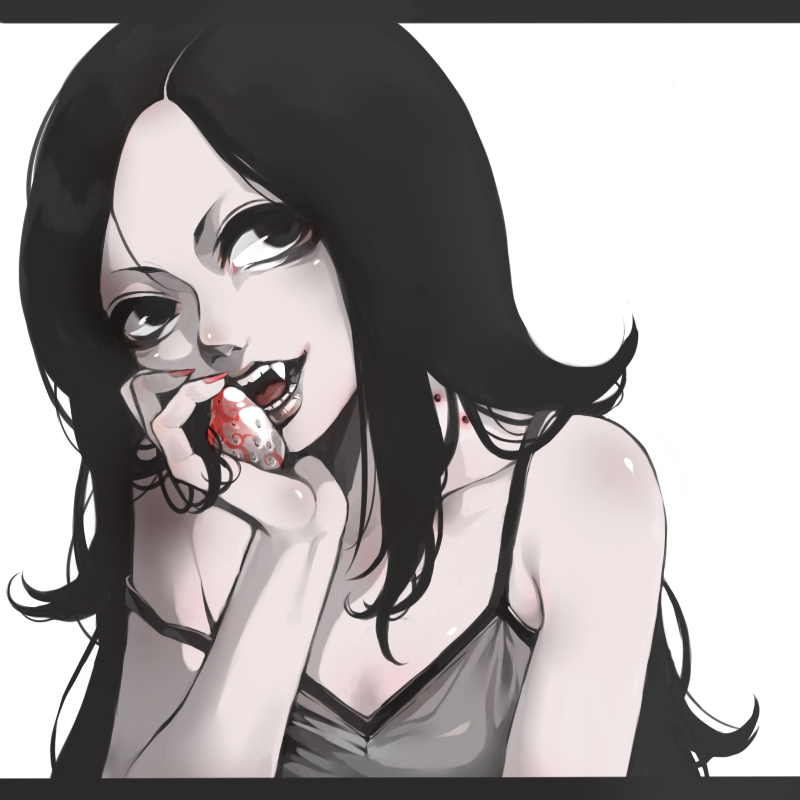 She is a 1,000+ year old vampire. 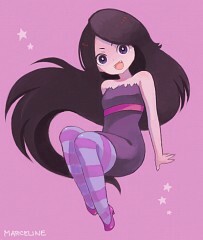 She knows many other people of Ooo, and among those are her close friends Finn and Jake. Many places of residence are known to belong to her. 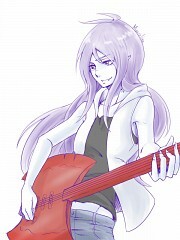 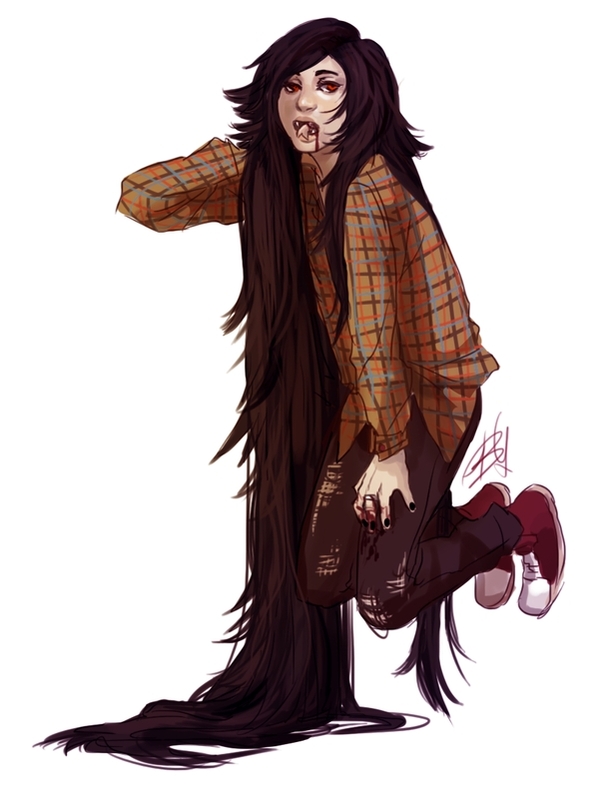 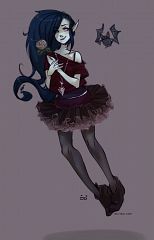 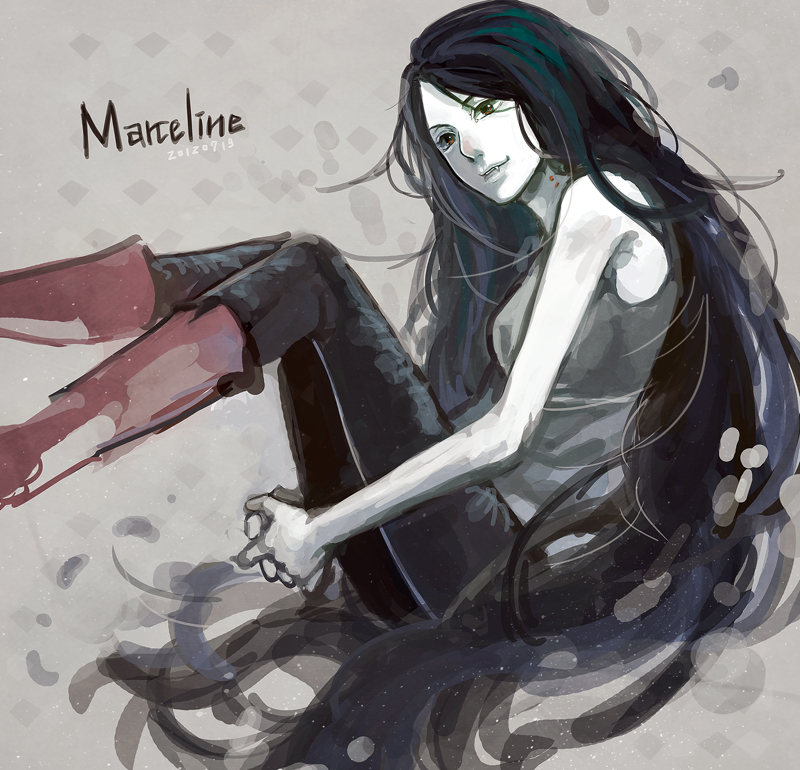 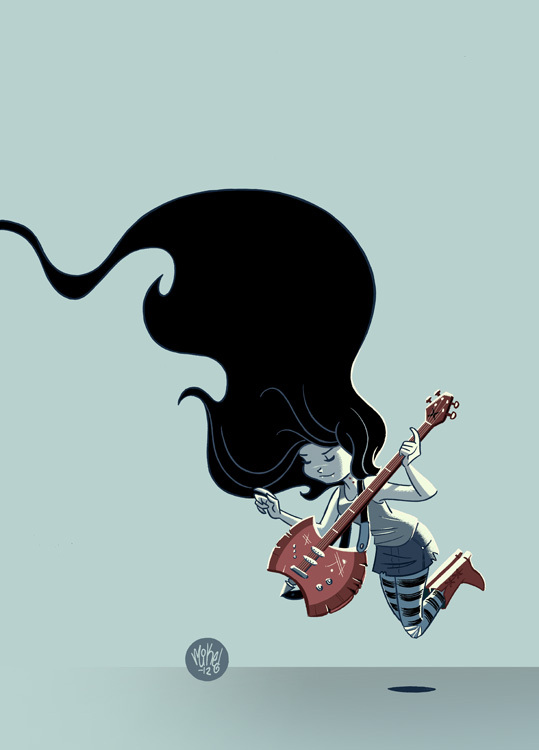 Marceline is described as a wild rocker girl. Centuries of wandering the Land of Ooo have made her a fearless daredevil. She is a lover of all things exotic and still travels the land often. 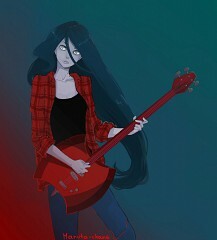 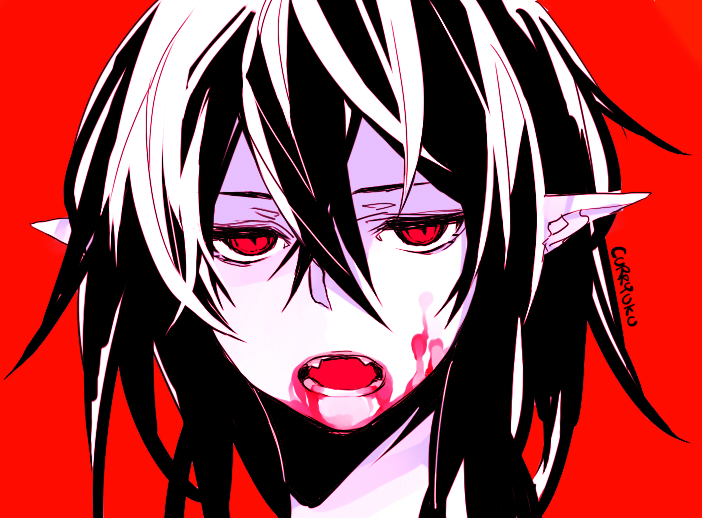 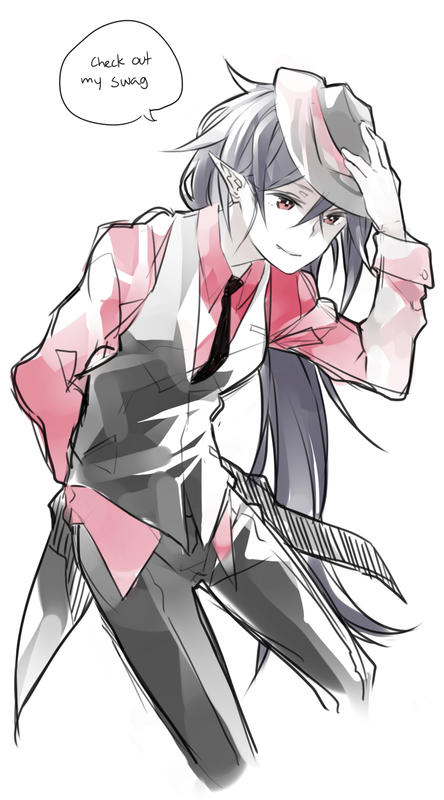 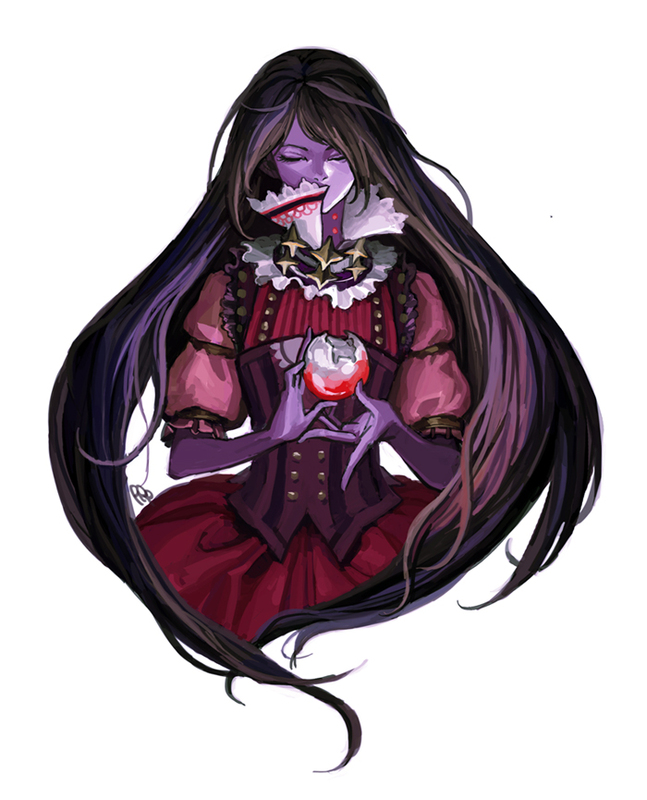 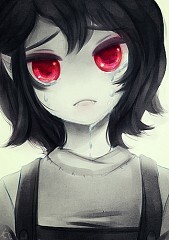 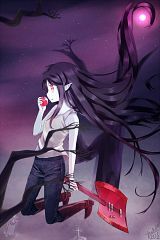 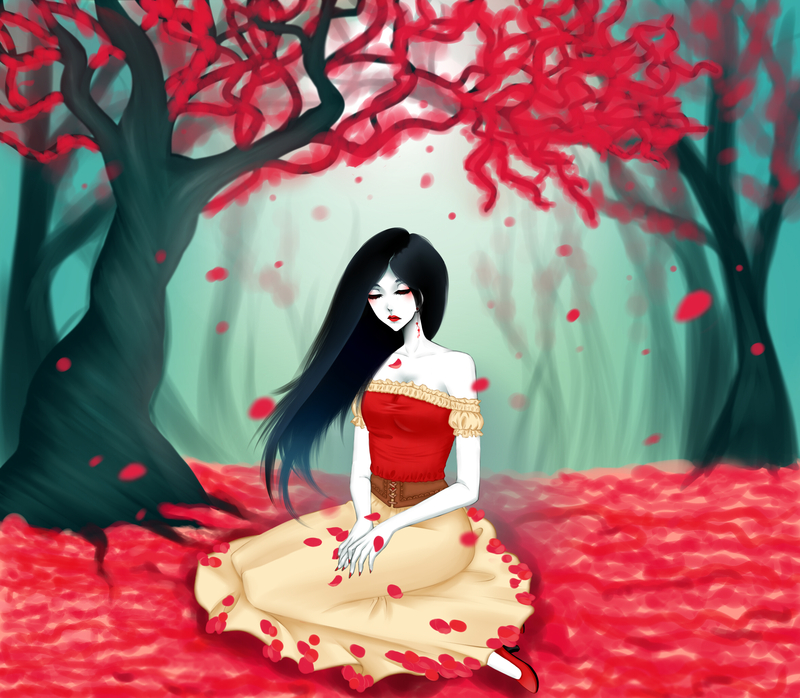 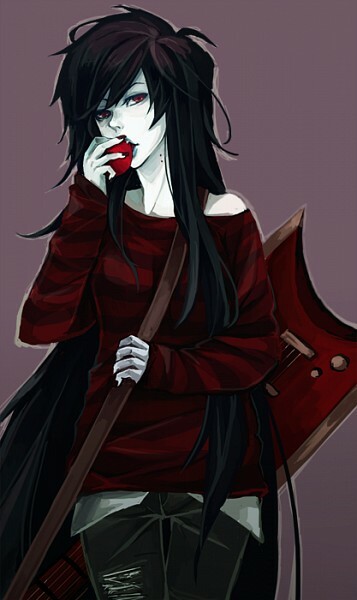 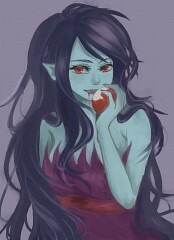 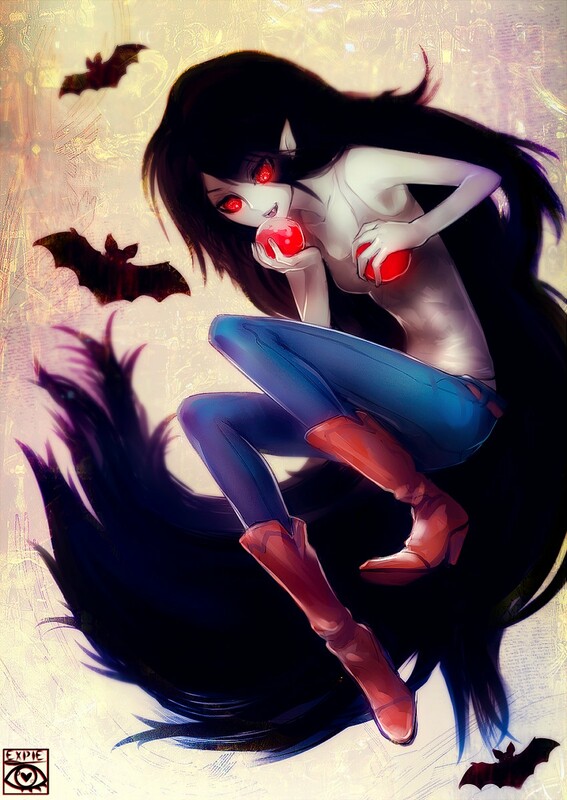 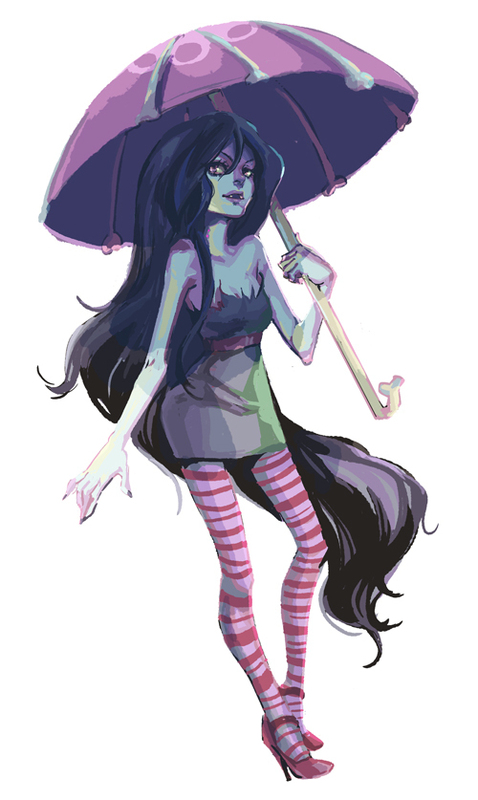 Unlike traditional vampires, Marceline is able to sustain herself solely on "shades of red," rather than blood. 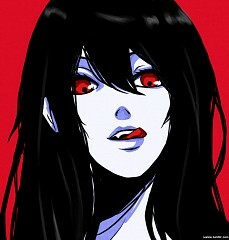 This means she can **** the color out of anything red and cause it to lose its hue. 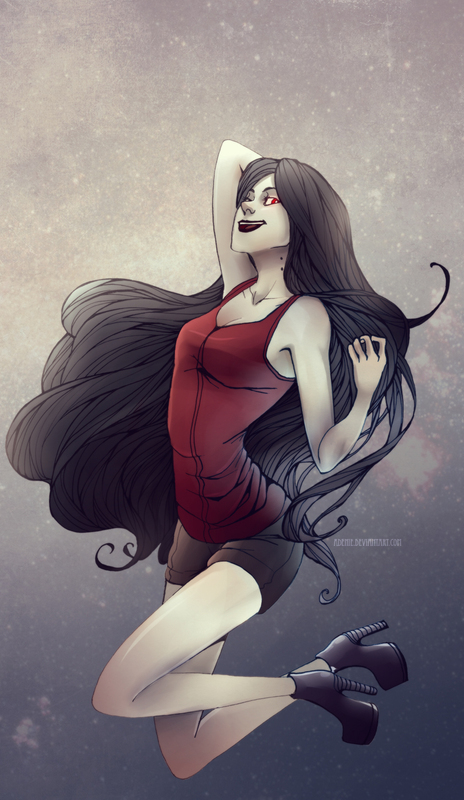 She has a mischievous personality and is not intimidated by anything.